With trees giving off the perfect shade under the heat of the sun and birds chirping their joyous songs, Orem North is indeed the relaxing home. 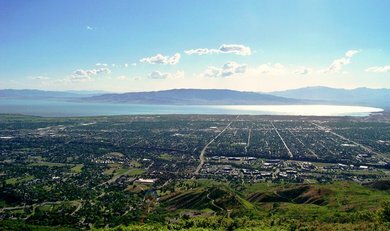 Located in the beautiful state of Utah, Orem North serves as the home to those whose lives are filled with laughter, joy, and friendliness. Neighbors are very accommodating especially when you’ve just moved it. Your children won’t have problems in making friends since kindness is all around. You are in for a sunny treat every day in Orem North. Of course, accessibility and convenience is felt as well. Orem North is never behind business progress as the establishments which caters a person’s necessity (e.g. groceries, gas stations, convenience stores, schools, pharmacies, restaurants and more) are within reach. With the availability of these businesses, it’s never a problem living in Orem North! Also, the place gives a double pleasure as it feels urban and rural at the same time. Yes, the buildings have the modern touch of architecture and imperative city feels, but the fresh air and glowing colors takes you teleporting to the countryside. It’s like being in two kinds of places at once. Orem North is a progressive place to live in and it’s definitely screaming class and elegance. Indeed, a place you can truly call home. Sunset Heights is beautiful place for home located in Orem, Utah. The residential homes are appealingly crafted with elegance and simplicity combined. What a pleasing sight that transcends into a pleasing feeling. The houses are lined up in the sides of the road, perfectly complimenting one another in visual appeal and giving enough spaces for neighbors to form just the right amount of camaraderie. It’s the usual suburb feeling of home and coziness. Residential homes aren’t the only ones given attention as there are apartments all ready and set to make someone feel at home. The concrete walls and sturdy ceilings give enough warmth and feeling of security. A person can easily sit back and relax while reading a book or binge-watch a TV show as the raindrops tap on the window or the sunrays pass through. No matter the weather, Sunset Heights makes it feel like home. 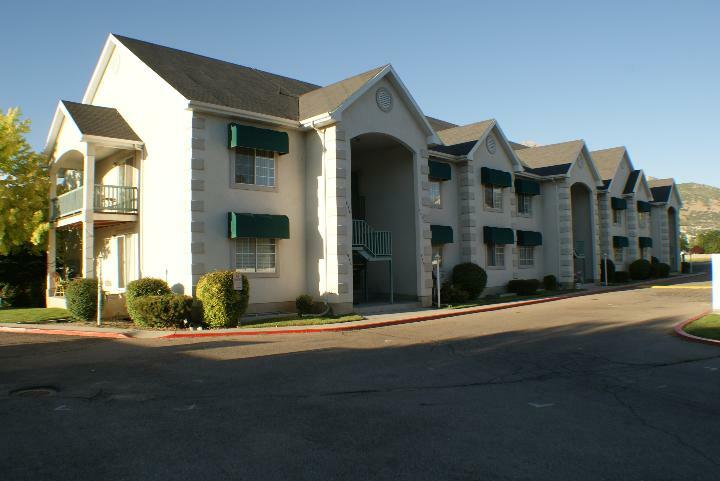 Of course, there are apartments for students of the Utah Valley University (UVU). It is the most convenient neighborhood since UVU is located on its borders. Not only is Sunset Heights the place best for students because of its proximity, but the students can also find relaxation during stressful times when they roam around to see open spaces of wide farms and orchards. Beautiful when sunny and beautiful when rainy. Some houses long established and some newly constructed. Places both elegant and simple. 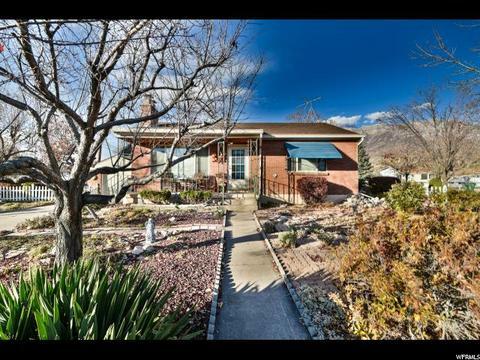 Sunset Heights is indeed a unique beauty in Orem! 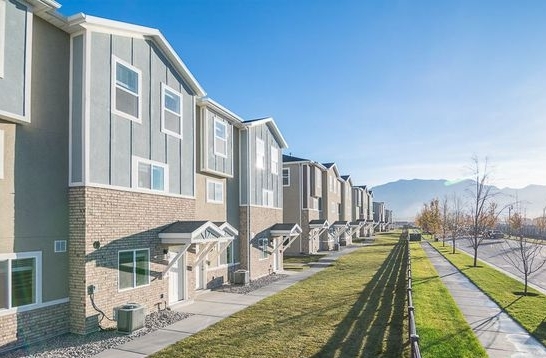 Windsor South is a neighborhood in Orem, Utah which is a sure-fire right choice! Beautiful in every season, residents of Windsor South are proud of their home. Trees get painted with silver colored snow during winter. Grasses dance with the wind during summer. Leaves scatter brown and yellow after they fall during autumn. Flowers bloom a spectrum of vibrant colors during spring. Being a resident in Windsor South surely means being a part of God-made art. Practicality is also given emphasis as establishments are all set and ready to provide convenience for everyone. Schools are performing well, guaranteeing a one of a kind education for students. Restaurants serve dishes to satisfy cravings. Business and offices give bread and butter. Playgrounds give smile to children’s faces. 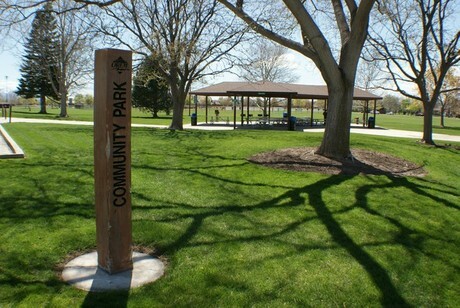 Parks are ready for activities for all individuals. Convenient, isn’t it? That’s what makes it beautiful. With the convenience and the aesthetic beauty during sunny days and even dull colored ones, life in Windsor South should be a top choice! Windsor South—beautiful place, beautiful life. Imagine living in a place so serene and soothing where different colors wave hello to open up a gentle day. That is the life offered by Windsor North. As a remarkable neighborhood in Orem, Utah, Windsor North offers a life of peace and beauty to those who live in it. With beautifully crafted homes and smooth lanes, the neighborhood is a breath of fresh air. Trees are all around giving off the right amount of shade and parks await for one’s leisure. Convenience is highlighted as Windsor North has the businesses serving the residents’ everyday needs. These include groceries, gas station, retail shops, auto repair shops, and a lot more! Well-maintained is the perfect word to describe the neighborhood since it remains tidy and organized, and the colors are evergreen and friendly. Flower gardening is also given attention in Windsor North as it is listed as the residents’ top favourite thing to do. Why won’t it be? The flowers blend perfectly with the green scenery may it turn neon-like or pastel when the seasons change. Aside from this, the backyards of the houses give enough space for this activity and it adds to the visual beauty as the beautiful homes align well with the beautiful flowers. The wonderful city of Orem takes pride on its homey neighborhood, Northridge. Children play making the most of their childhood, married couples indulge in a place contributing peace to their partnership, and friends treat each other like families. Playgrounds are around Northridge catching the eye of the little ones. As they exclaim, “weeee!” on the slides and swings, mothers can catch up on relatable conversations with their fellow moms. Under the heat of the sun, children form bonds with each other and enjoy what it means to be young and free of the world’s dilemmas. Despite all the fun and play, the children’s education is not forgotten. Northridge Elementary School has been teaching bright young kids for almost forty years. The school is undoubtedly well-known! Providing education in chorus, orchestra, and ballroom dances, there is fun during learning. The lush greenery of the place accompanied with the golden bright of the sun makes it a movie-like date for partners--married or dating. The road is smooth and the lanes go for miles and it surely adds a laid-back feeling on the date when passing by beautiful homes with trees on the front lawn. Speaking of passing by, smiles are shared when friends bump along each other. Some even pause to have a fast friendly casual conversation. Nobody is treated like a stranger in Northridge. Smiling neighbors are enough to brighten up one’s gloomy day. Whatever age and whatever status, Northridge feels like home. So don’t hesitate. Northridge has homes for all . . . including YOU. The happiest faces are found in the right places. In this case, Bonneville is the place to be. Located in Orem City, Bonneville is a wondrous place filled with people whose faces alone could brighten up one’s day! What keeps these people happy? The great things Bonneville can offer, of course. One of Bonneville’s prides is the Bonneville Elementary School where students can hone their skills, increase their knowledge, develop intellectual skills, and acquire a kind of education that gives a profound impact. It shouldn’t be a surprise that the school is excellent since the facilities are well-maintained, keeping that vibe that gives off the will to study. The library is organized and the yellow chairs are ready for a child’s experience of an impactful read. Aside from learning, what keeps a happy expression on a person’s face in Bonneville are the restaurants and how diverse they are. There’s Maria Bonita Mexican Grill, Bangkok Grill, Taco Amigo, and the Chinese restaurant, Rice Wok. Who knew that eating in Bonneville can mean a trip around the world? Peace is also attained as the surroundings are clean and the blades of grass bear glimmering dews tenderly touching one’s feet. In the park, you get to see a lot of people, young and old, flash identical smiles. Their smiles are evidences to Bonneville being a happy place indeed! Even with its 37 inches snowfall, there is a warm feeling of home in Vineyard, Utah. Started as a town and later certified as a city in 2016, its newness brings a refreshing glow to one’s life. Vineyard measures 16.5 square kilometers. It may be small but it shouldn’t be underestimated since it is an ever growing city. It has designed a wholly new downtown with a city hall, library, and other shops. There will also be a major intermodal hub which features buses, FrontRunner, and Trax. Not only does the growth happen downtown but it also shows in education. Utah Valley University plans to extend its campus westward into Vineyard. By 2021, Vineyard campus will have an intramural soccer field with a track and field, business resource center, and a sports stadium. And in 2026, the campus will proudly have an ampitheater, tennis courts, and conference center. The little city proves to be liveable as its unemployment rate has decreased t0 2.8% as of 2018. Its leading industries very good for employment are Finance and Insurance, Retail Trade, and Manufacturing. Job growth is indeed positive in the city! You can be a part of that growth too. With all that Vineyard can offer, what’s more to ask? Get ready for the big life found in the little city! Looking for a peaceful home for your family? Then Orem is the place for you! This is the city located just 45 miles south of Salt Lake City. 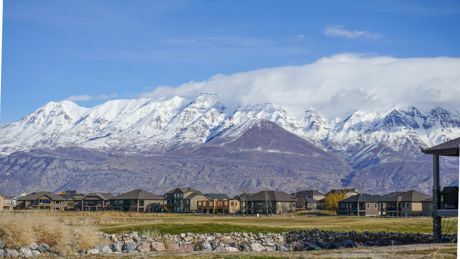 Living here is hassle-free as it has an average commute time of 16 minutes often to its neighboring city, Provo. Unlike other towns or cities where you have to worry about security, Orem offers a kind of safety that’s never been felt before. Having the record as one of the cities with low crime rates, you can be sure that your family can live without anxious thoughts and terrible fears. Aside from feeling safe, your kids will surely have a fun and memorable childhood in Orem as the city has established facilities intending to make your young ones happy. One of the facilities includes the scenic water playground with waterfalls designed to look like the nearby Bridal Veil Falls and Mount Timpanogos. The water playground is new as it opened its doors to all just the summer of last year. Also, the All-Together Playground is available to special-needs children. There are ramps, a soft foam floor, and rides for your young ones who use wheelchairs. Not only your kids can make memories but you and your partner can too! 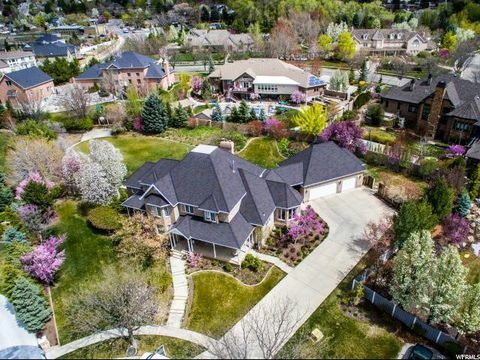 Because Orem is beautifully placed between Utah Lake to the west and the majestic Wasatch Mountains to the east, you are in for a date featuring picturesque views and outdoor activities. What a lovely way to bond! Plus, you can also bring your children with you for camera-worthy picnics. Pack your bags and take the first step in living the best family life in Orem.